CryptoMailer - guaranteed privacy for your emails. 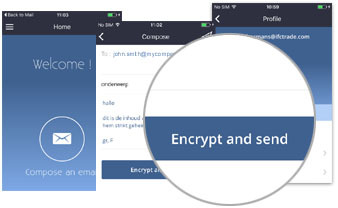 encryption instantly, easily and for all your existing and future contacts. 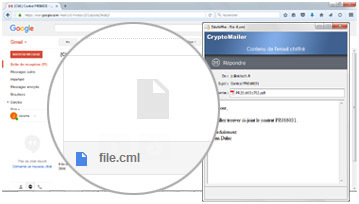 Install CryptoMailer, and you can immediately write a confidential email and send it with a simple click, using your usual email application, for example GMail. Receiving an encrypted email is just as easy, with no limits regarding the size of the email or the number of attachments. Install CryptoMailer: you can immediately decrypt any encrypted emails you received by opening the encrypted portion of the email. and you can respond immediately with an encrypted email. 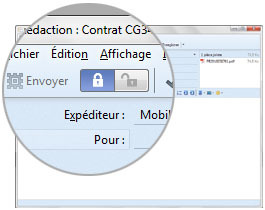 Install CryptoMailer: a button "Encrypt" appears right under the "Send" button whenever you compose an email: By activating the button, the email is sent encrypted. 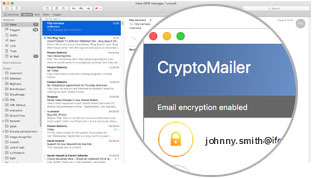 Upon reception, emails are automatically decrypted as long as CryptoMailer is unlocked by the user. Install CryptoMailer: a button "Encrypt" appears right next to the "Send" button whenever you compose an email: By activating the button, the email is sent encrypted. You can respond immediately with an encrypted email. 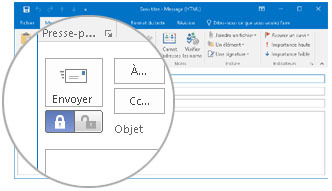 CryptoMailer encrypts emails end-to-end, straight from your Outbox to the receiver's Inbox. 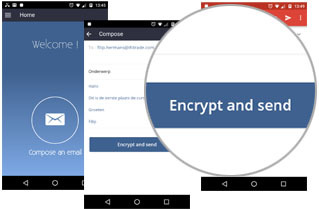 Emails remain encrypted at all times in your Inbox and your Sent mailbox, whether on PC, Tablet or Smartphone. Private emails are only decrypted when you explicitely open them and when CryptoMailer is unlocked. Only two people can read your encrypted emails - Yourself and your Correspondent. Strongest security combined with unequalled userfriendlyness. as many correspondants and with as many attachments as you wish. Encrypt, Decrypt: simple price policy. Decrypting emails is and will always be FREE of charge. 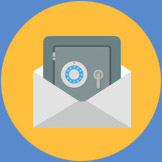 Encrypting emails is FREE during the 30 days trial period. After the initial 30 days, a subscription is required. Subscriptions are "Per email address". A subscription is valid for one email address, and can be used on any device and with any email Software.